Welcome to the Santa Rosa Blue Hole, a lake and tourist attraction located along Route 66 just east of Santa Rosa, New Mexico. 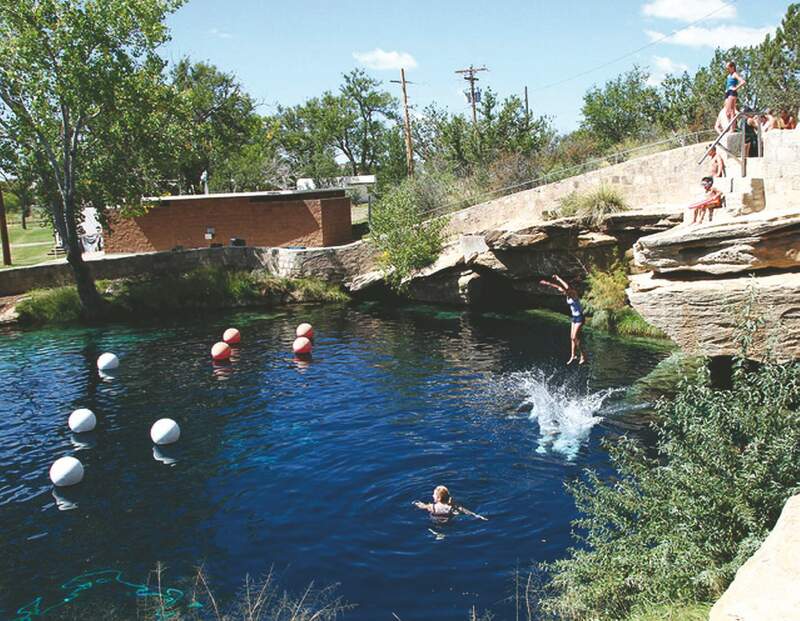 The public swimming hole was created when a sinkhole caved in and, back in the olden days, cowboys and Native American tribes sought rest and relaxation here amidst the dry, arid climate of the Southwest. Today, it’s known as one of the most popular destinations for divers intent on exploring the deep secrets hidden under the lake’s clear surface. See, Blue Hole is part of a system with six sister lakes. 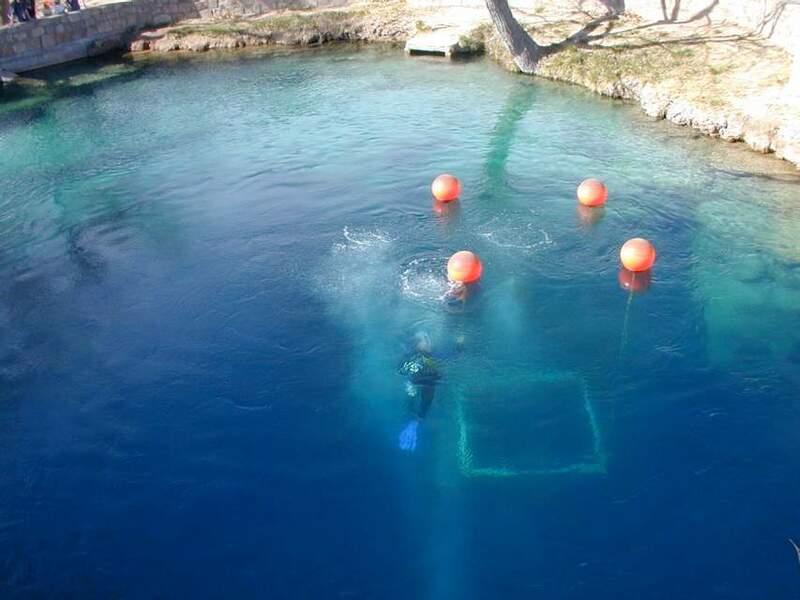 All seven lakes are connected by underground caves, which remained unexplored up until 2013, when an expedition of divers with the ADM Exploration Foundation decided it was time to map out the mysterious passageways. While they were able to shed light on many of the caves, many of the tunnels proved too tight to venture into, and many of them were filled with debris. Excavation of the site continues to this day. Unfortunately, the allure of underwater exploration has brought many a tragedy as well. In 1976, two young scuba divers became trapped and drowned in the tight caves. Then, in 2016, a 43-year-old diver named Shane Thompson, who was an ADM Exploration Foundation member AND a Navy veteran, drowned after getting trapped while exploring the tunnels. Today, many of the caves remain unexplored. Are you getting claustrophobic and freaked out by the idea of small, dark passageways that you can’t see into and can get trapped in? We are. We’ll stay on the surface with our flamingo flotation devices, thank you very much. On the brighter side, the Blue Hole is breathtakingly beautiful with its striking blue hue. 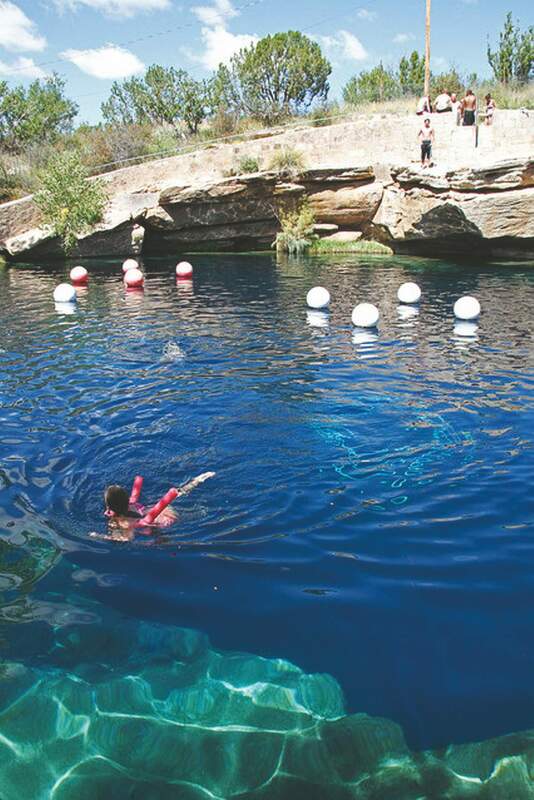 Santa Rosa Blue Hole is free and open to the public. There are no lifeguards on duty, but it is free nonetheless. The water is crystal clear and remains consistently at 62 degrees Fahrenheit, ideal for a hot day under the New Mexico sun. There’s a constant flow of about 3,000 gallons per minute, with the surface at 60 feet in diameter and a depth of 90-feet deep, so you don’t have to worry about hitting your head on the bottom if you’re diving in or going for a belly flop.